I recently picked up the Outdoor Research Echo Ubertube to use, primarily, as a sweatband. 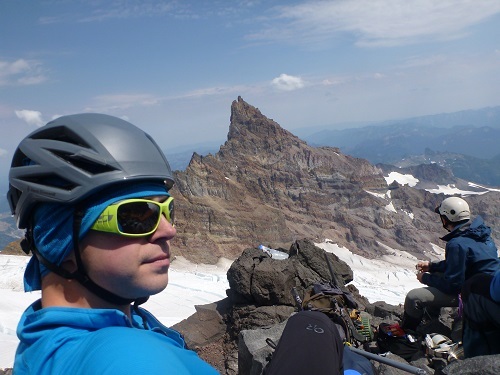 While evaluating my gear I noticed that everything I brought with me into the backcountry is a specialized piece of gear, except for the old school cotton bandana that I had been tying around my head for years. It works great on a short hike but if I’m going for multiple days it won’t every fully dry out (especially in winter) and gets real grimy real quick. Enter the Echo Ubertube. 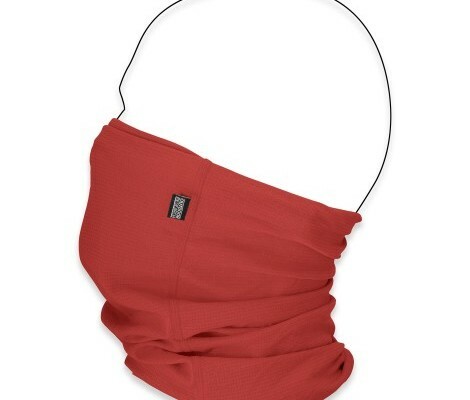 Not only does it work as an awesome bandana to keep sweat out of my eyes I can also use it as a neck gaiter, or a thin layer under a climbing or ski helmet. Its super breathable, protects from the sun, has anti odor properties, and weighs less than an ounce. If you are looking for serious warmth you might need to look somewhere else – the Echo Ubertube is very thin. Being thin is also a strength and one of the reasons I chose it over others options. I use this during high intensity endurance type activities and staying warm without being too warm is a priority for me. The Echo Ubertube is thin enough (in “tube” mode) to fit under my climbing helmet when I need a bit of extra warmth. I’m not sure why I didn’t switch to a more technical bandana sooner. For $20 there aren’t many items you can buy that improve life as much as this item. This entry was posted in Activities, Backpacking, Activities, Hiking, Brands, Outdoor Research, Product Review, Activities, Resort Skiing, Activities, Ski Mountaineering.